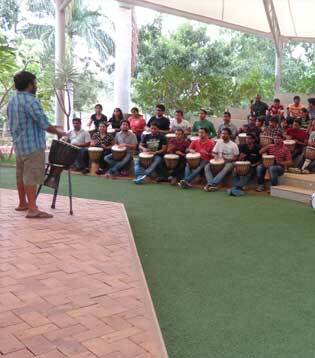 To enable teams to come together, ideate and experience the power of collective thinking. 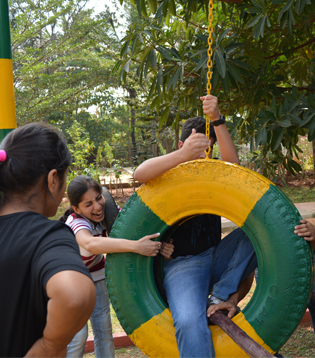 We are aware that United we Win, and Divided we Fail. 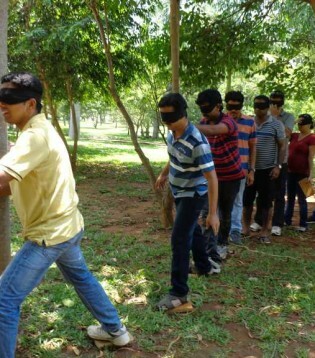 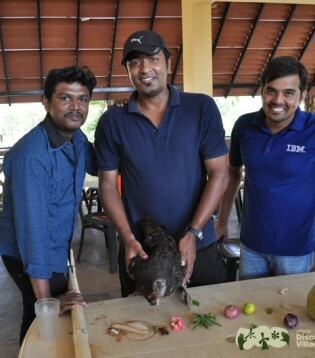 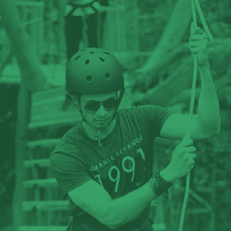 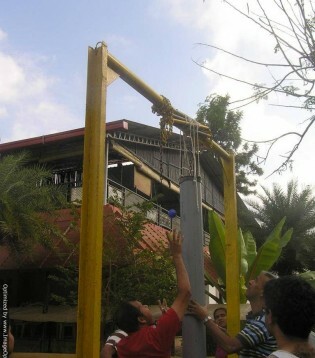 Our corporate team building activities will reinforce this principle with interesting games. 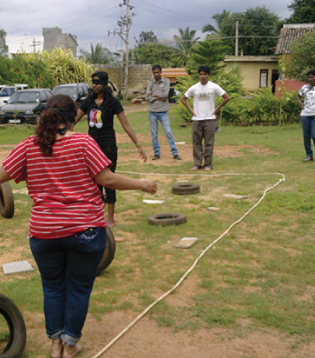 Team building activities like Land Mine will teach you to trust. 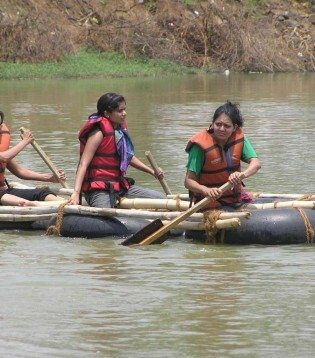 Work like a team and make the best raft that will keep you afloat in Raft Building. 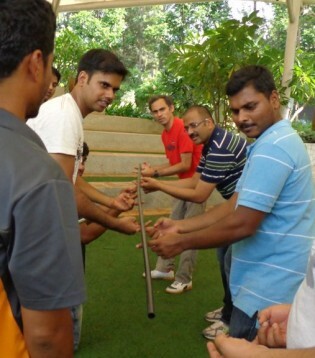 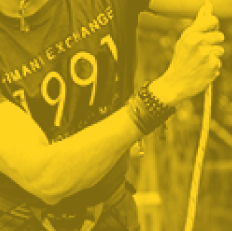 Corporate team building games like Cross Over will improve your co-ordination skills. 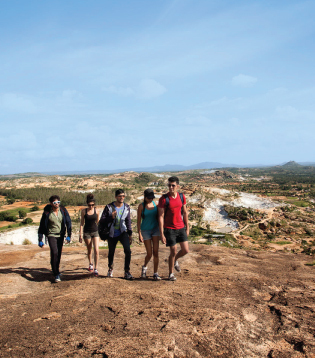 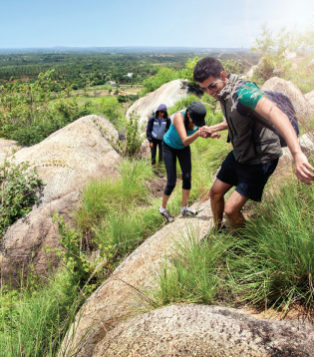 Go on a treasure hunt with your team in A to Z. 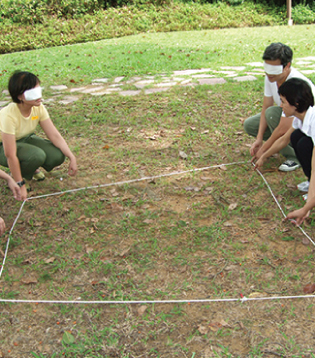 Guide and lead your blind teammates in Blind Square. 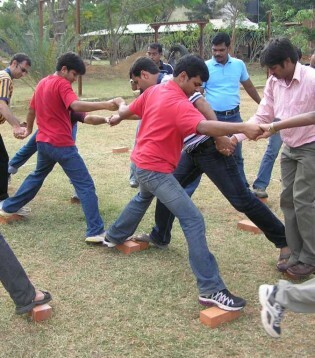 These team building activities for employees give lessons in collaboration, vital to the functioning of any company.